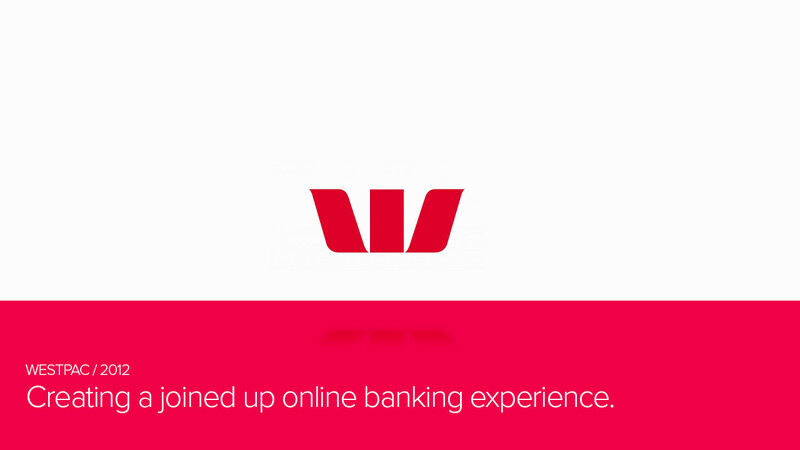 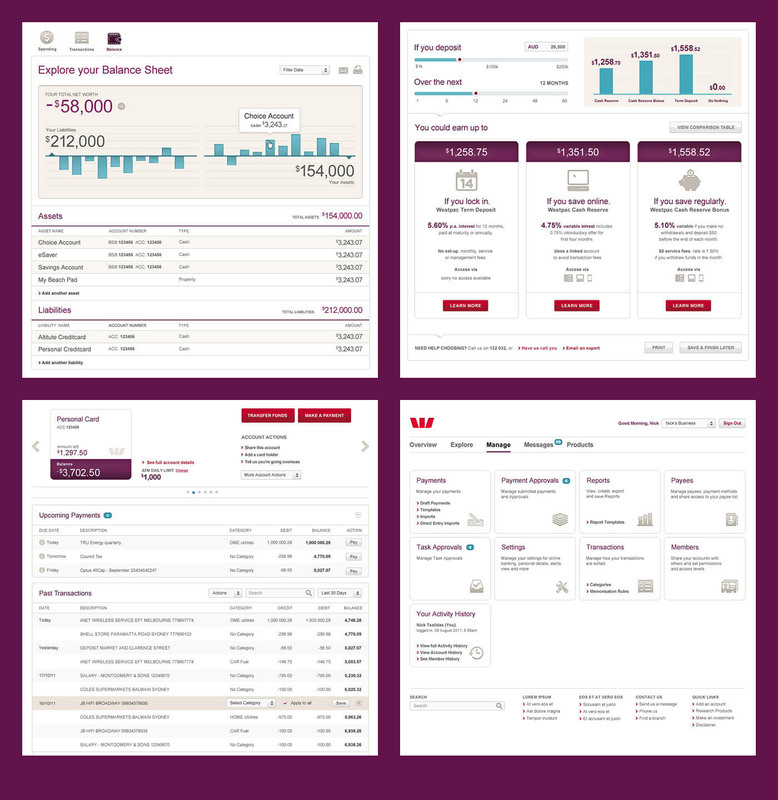 The challenge was to create a consistent, simple and helpful experience and for Westpac’s suite of online services - mobile banking, ATM’s, desktop online banking and ipad app. 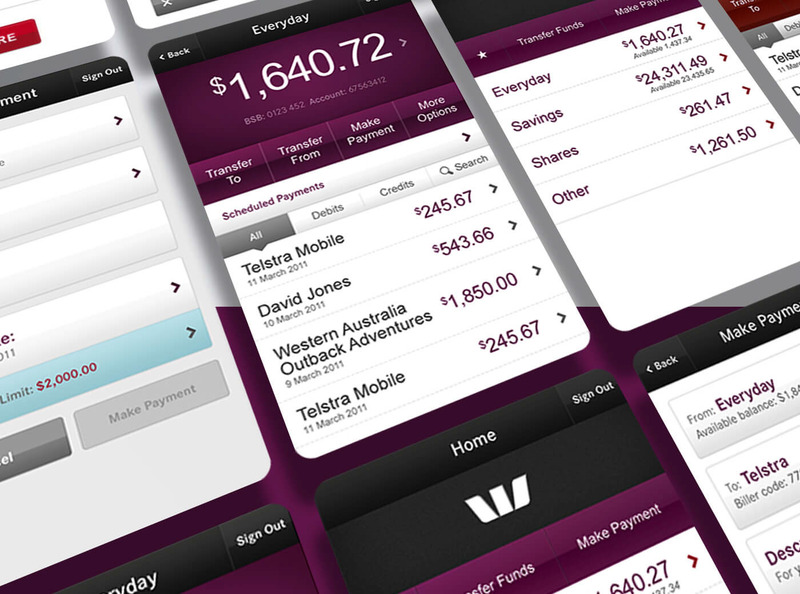 It had to be instantly recognizable whatever the platform and above all else, designed around the customers needs. 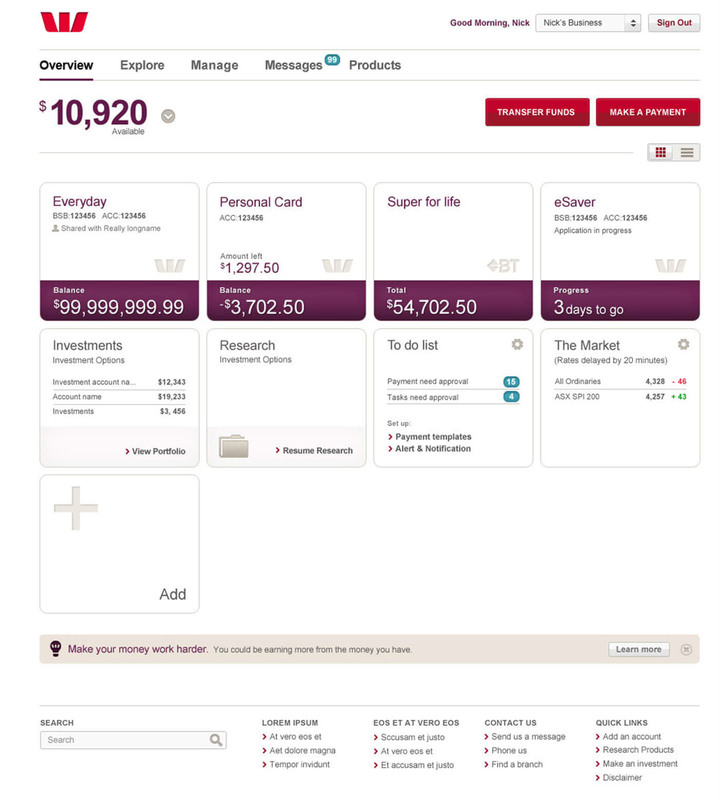 The work was based around the creation a set of unique and overarching design principles which guided both the design ideologies and the personality of the interactions.